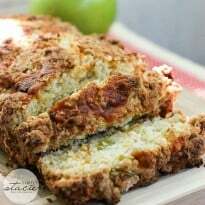 I was looking for Fall recipes and I came across this recipe for Apple Cheddar Quick Bread in the September 2013 edition of Canadian Living and thought it fit the bill perfectly! I normally only make Banana Bread so was curious to see how apple bread would taste. Apples & cheese at first may look like a strange combination but they actually go together perfectly. The sweet tartness of the apples complements the saltiness of the old cheddar. I changed the recipe a bit though. I didn’t peel the apples and I forgot to include the milk. It still turned out delicious though. Spread some butter on each slice and enjoy. 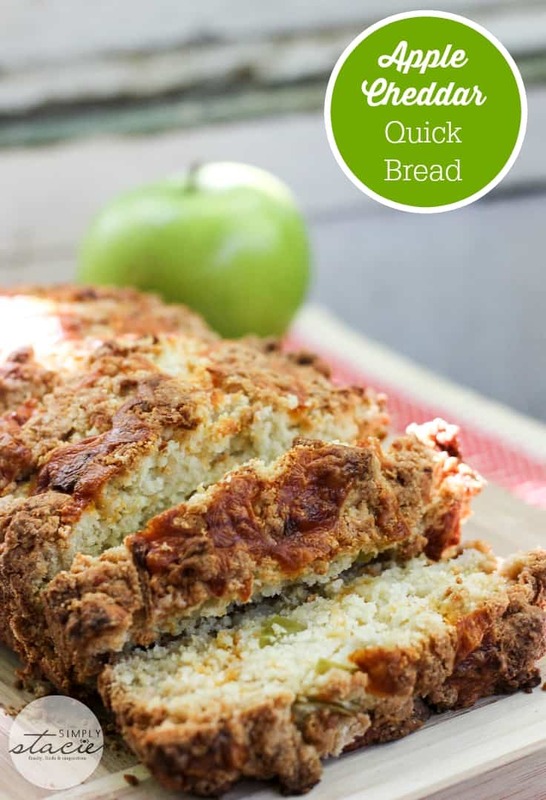 Tart apples + salty cheddar cheese is a perfect marriage in this delicious bread. In a large mixing bowl, whisk together flour, baking powder, baking soda and salt. Stir in 1 cup of the cheddar cheese. In another mixing bowl, beat butter until smooth. Beat in sugar. Beat in eggs, 1 at a time. Stir in diced apple and grated apple and stir to combine. 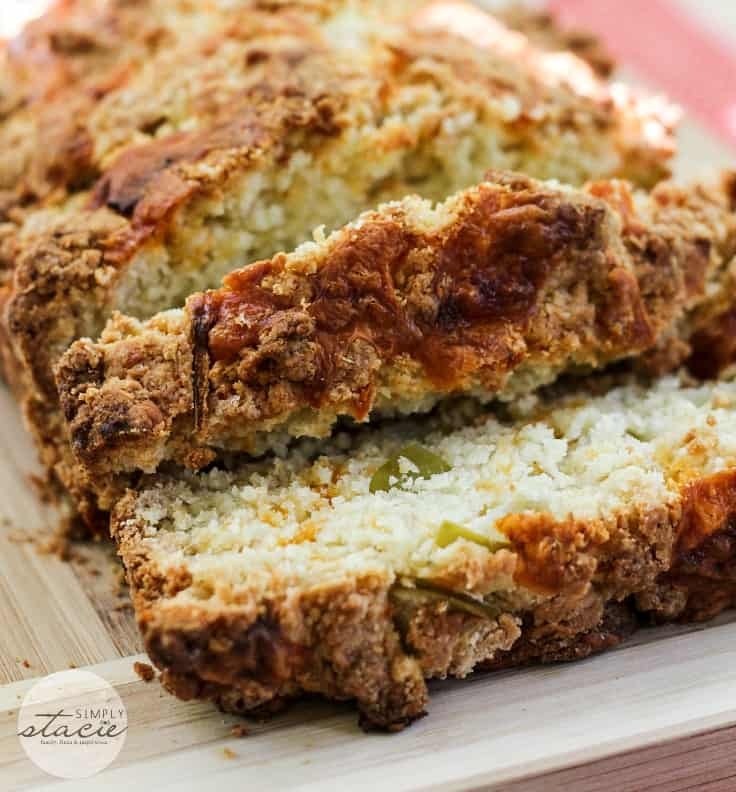 Spread in a greased loaf pan and sprinkle with remaining cheddar cheese. Bake in 375°F oven for 50 minutes or until cake tester comes out of the center clean. Let cool in loaf pan for 10 minutes. Turn out onto a cooling rack and cool completely.